I always like to post a little teaser before I publish and I am very excited to introduce my amazing fans and readers the prologue of The Cursed Charm! I hope you are as excited for its release as I am. The early morning air was cold and soft mist clung to the barren branches of the forest. The once green and lush trees were now waiting for the warmth of spring to arrive in the realm of Aislinge. A woman bundled up in a purple cloak was scurrying through the desolate woods. She raised her head when she heard a crack but smiled nervously at the lone red bird that had flown to a nearby tree. “Are you hungry little cardinal?” she asked. The bird cocked his head and flew away after a moment. The woman smiled ruefully and continued on her journey through the woods. There was something about being out here all alone in the desolate woods at the dawn of a new day. It was strangely peaceful yet foreign because she was not used to being by herself. As the queen of the Fae witches, Avalon could not afford the luxury of having personal time. Most of her days were spent running her kingdom and keeping peace within her realm. She visited with the locals, helped in the potion rooms, and listened to every one of her subjects that needed her wisdom. Avalon did not see her being the queen as a curse but a blessing. She tried to ignore her lonely heart and accept the love of her people as her only source of comfort. Not that she was complaining. There has never been a day that she regretted being born to the Goddess Arianrhold. She loved her mother and was grateful to be the one chosen to come from her womb. Although, her mother had long since passed from this world to another, she still saw her in her dreams and occasionally in her ghostly state. Avalon thought of how she came to be and the story her mother had always told her when she was a youngling. Gaia, the mother of the Gods, decided that she wanted to create the very image of herself and so she created Avalon’s mother, the Goddess Arianrhold. Arianrhold was the epitome of beauty and light. She was a powerful magical being whose goodness shone from her entire essence. Where there is light though, there is always darkness, and the darkness that resided in Gaia was overwhelming, so she created her other daughter, the Goddess Morrigan. Morrigan thrived on death and war. She was not evil but a solemn presence to those she showed herself to in times of impending battle. Gaia decided that each of them could balance the other one out, so she created them a beautiful realm on a different dimension. The God’s, who were the children of Gaia, were not happy though, they feared the powerful Goddesses. So they created the Fae, who would have the power over the elements of nature. The children who came from the Goddesses did not like the interference from the Fae, and the Fae were weary of the power of the Fae Witches. A pact was made by the King of the Fae and Avalon to divide the land of Fairlia amongst them equally. Arianrhold and Morrigan worked for days to create the new Fae Witch realm and appropriately enough named it Aislinge, the land of dreams. Their people thrived in this new world, and they lived their life out of the shadows of the Fae who had come to look upon them with prejudice. While the Fae used the elements and kept the energy inside of them, the Fae Witches used instruments to focus their powers and then they released them back to the source. The Fae thought the witches were mad not to keep this awesome energy, and the Witches thought the Fae were selfish creatures that did not respect the power of the elements. Even several hundred years the delicate balance between the realms of the different factions of the Fae always weighed heavily in the relatively young queens mind. Avalon and King Cormagglia were polite to one another, but there was always a tension between the two of them. She hoped that one day they would be able to sit down with each other and work out their differences of opinions. The strain with the Fae was not something she wanted to think about today. She wanted to forget about the Fae and for the first time in her life she wanted to dismiss any thoughts of her subjects. Avalon may never fully be able to stop being a queen, but this morning she was doing something just for herself. Today she was going to meet her love and for once put her wants above the needs of her people. She slowed her pace and tried to calm her racing heart. There were so many thoughts and emotions that were coursing through her body. She tried to remind herself of who she was, but those thoughts were now clouded for all she could see was the love and passion that had recently come into her once dull life. For several hundred years, Avalon had worked hard to ensure her people were safe. She wanted them to preserve their way of life and grow to be prosperous and kind beings. Unfortunately, not all that lived in the realm of Aislinge thought this way. Morrigan’s son, Kronan, desperately wanted more power and more control. For a while, everyone seemed to think that Avalon should marry Lord Kronan. 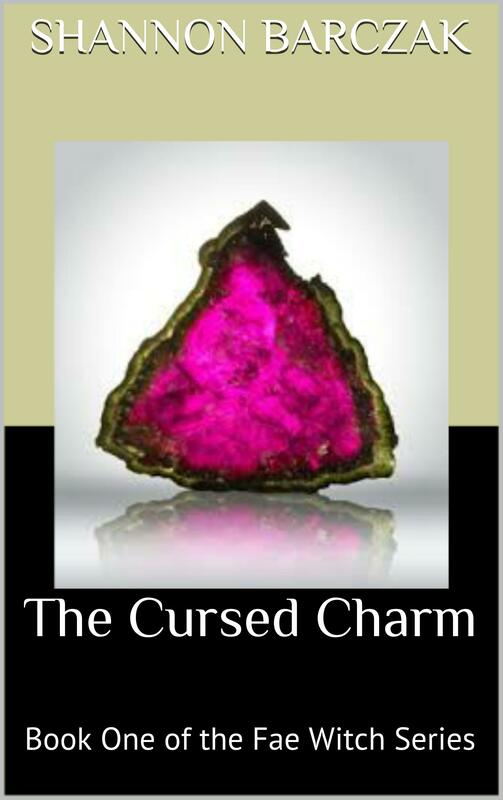 The majority of people thought that her goodness would rub off on the darkness that emanated from his very core. Kronan had recently declared his love for her and even though she did think he cared about her in some way, she knew his motive was not for love but power. Any guilt she felt over rejecting his suit quickly was squashed when she went into the fields that surrounded the castle and met Arthur. He was the son of the head farmer for the castle and after meeting him properly for the first time, she immediately fell in love. His gentle way calmed her, and his warm smile sent butterflies erupting in her stomach. After meeting in secret for several weeks, last night he sent her a letter asking her to marry him. He was so worried that she, as a queen, would reject him that he thought it best to ask on paper rather than in person. Regardless of her answer, he wanted to meet in the forest at dawn. Avalon smiled to herself and continued to rush along the path. She was so caught up in her excitement she didn’t even notice the raven that was following her in the trees. She finally came to the end of the path into a small clearing and broke out into a run as she spied a tall man pacing near the large boulders. “Arthur,” she breathed as she flung her arms around him. He grasped her tight in his arms and held her close for several long minutes. “Love blinds you my love,” she said. His smile dimmed, and Avalon took a moment to study his face. His blond hair which was a shade darker than hers was slightly damp from the morning’s mist, and his blue eyes looked serious. His dimples that framed his mouth were nowhere to be found because his handsome face was set in such a severe manner. He smiled and took her face in his hands. He leaned down and touched his lips to her. Avalon felt as though she was floating in the air as he continued his gentle perusal. She finally pushed him away and took a deep breath. She had to get this out in the open before they were to go any further. “Arthur, have you really thought about this?” she asked. “I have thought of nothing since the day we met,” he answered. “It certainly will be a lovely view though,” he said after a moment. Avalon laughed and soon Arthur joined her. They were so lost in each other that they didn’t see the raven fly down from the trees and land on the ground. The bird turned into a tall man who stood menacingly as he took in the scene before him. “Lord Kronan, what are you doing here?” Avalon asked as she and Arthur jumped apart. Avalon stood for a moment in silence as she took in Kronan’s rigid stance. The sharp look on his face only accented his almost cruel handsomeness. His dark hair was cut short, and his thin lips were pressed tightly together. Kronan’s dark eyes looked black in the cold morning light. Avalon felt a twinge of pity as she realized that maybe his feelings for her weren’t as meaningless as she thought. “Kronan, we are first cousins, and I care for you deeply but Arthur is the man I am going to marry,” she said gently. “I cannot let you do this Avalon,” Kronan said. “Oh Kronan,” Avalon said sadly. Kronan grabbed Avalon’s hand and squeezed tightly. When she cried out in pain Arthur rushed to her side and pulled her from Kronan’s grasp. The two men stared at each other for several long moments. All of a sudden Arthur let out a gasp and started clawing at his throat. His eyes bulged out of his face as his skin turned blue. Avalon rushed over to his side and tried to help him, but the hex that Kronan had cast upon Arthur was powerful. Kronan flicked his wrist dismissively towards Arthur, who immediately started gulping large amounts of air into his lungs. “Do not call me boy,” Arthur returned. Kronan raised his hands to the sky, and Avalon began to feel fear. The Air began to swirl around almost violently, and the wind howled with Kronan’s fury. Avalon immediately erected a wall of protective energy around her and Arthur. “Dear Gods, what have you done?” Avalon breathed. She could feel his immense power and was surprised at the strength that emanated from him. She knew that only an act of soul-shattering cruelness could generate this much rage. “That is one rule I do not agree with any longer,” Kronan said. Avalon had enough. She pushed her energy towards him, but Kronan must have anticipated this from her. His dark magic threw her to the ground, and she looked at him in shock. Kronan ignored her and reached into his long cloak and withdrew four objects. Avalon and Arthur both sucked in their breaths at the sight of the royal tools that were the symbols of the ruler of Aislinge. Avalon did not know how Kronan had attained these sacred and powerful devices. They were only to be touched or handled by the sovereignty. “Put down those items and move away now Kronan,” she ordered. “Kronan,” Avalon yelled but still he ignored her as he continued his spell. “Kronan, dear Gods, do not do this,” Avalon whispered. Kronan paused for a moment and as their eyes met; Avalon saw a shadow of the man she had cared for come over his face. He took a deep breath, and Avalon could sense the darkness slithering in his soul takeover his being. Avalon and Arthur screamed as a portal suddenly sprang in front of them. Their bodies were both being sucked through, and as the portal closed, Kronan spared one last glance at the woman he had loved. Her blue eyes bore into his and for a split second he wanted to reach for her but then he stepped back and smiled cruelly before she disappeared from his sight. The air was still howling, and the sacred instruments of Aislinge rose into the air before turning into dust. Kronan stood in silence before glancing over to the large boulder on his right. A tall, ghostly figure of a woman with white blonde hair was weeping quietly. He turned away from her in almost childlike indignation before transforming back into a raven and flying towards the castle. Previous PostWriting & Cursing or Cursing Writing?Next PostSXSW October Collaboration: Doing it Our way!